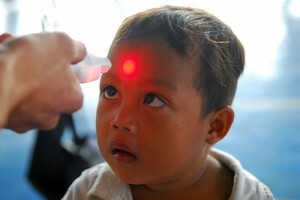 The present Philippine administration has committed to achieve Universal Coverage by 2016. Yet the Philippines has relied on Social Health Insurance or PhilHealth as the key to its health financing reform. PhilHealth has been attempting to achieve UHC along the classical “contributory” model in the face of an increasing informal sector, and is experiencing great difficulties in achieving universal population, benefit, cost and utilization coverage. This paper examines governance, both global and national, within and outside the health system, which has hindered the achievement of universal coverage. The Philippines’ continued adherence to a neo-liberal economic development model, its reliance on PhilHealth, and PhilHealth’s insistence on a “contributory scheme” have all contributed to the protracted journey towards universal coverage. Developing countries should reassert the original principles of Alma-Ata Primary Health Care Declaration which called for socio-economic development within a new International Economic Order to achieve health equity and health for all.